if considering all aspects such as acquisition cost of the components, disassembling and assembling cost, etc. Hardfacing leads to minimizing downtimes and allows constant optimized grinding conditions. 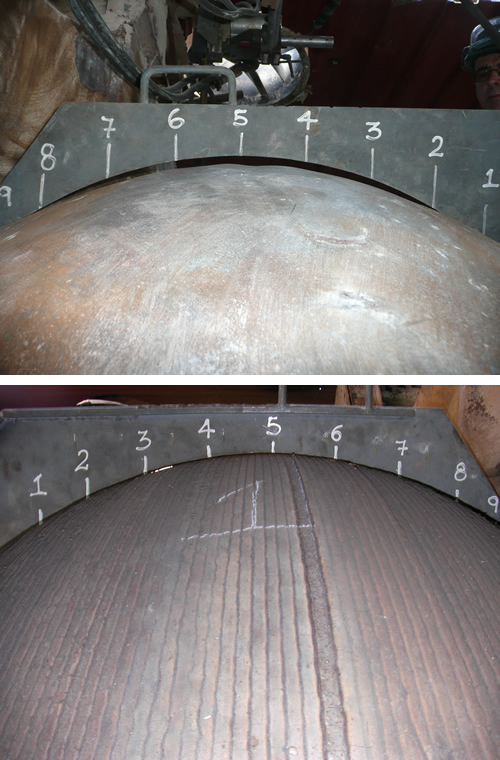 Without hardfacing, the wear which develops directly affects the efficiency of the mill. Depending on the type of mill, 10% extra production can be achieved as an average with the hardfacing solution. A component hardfaced with the IBERMILL technology has a wear resistance twice as long as a traditional cast component as an average. The same component can be hardfaced several times whereas a traditional cast component cannot be recycled once it is worn out. Due to optimized working conditions of the mill with hardfaced grinding components. Less vibrations, smoother running due to optimized working conditions. No need to have a full set of spare parts – Reduction of capital immobilization. Recycling of the worn parts and reduction of CO2 emissions due to less energy consumed. The best time for replacing worn cast components by new ones does not always match with the programmed shutdown. Delaying the replacement may increase the risk of cracks dramatically. Anticipating the replacement will generate losses of service life. 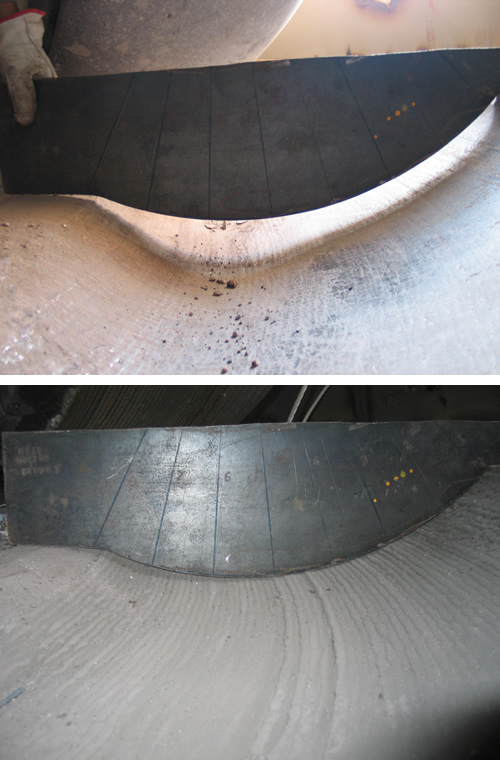 Hardfacing can be carried out over a wide period of time, without increasing the risks of crack or affecting the mill performance.